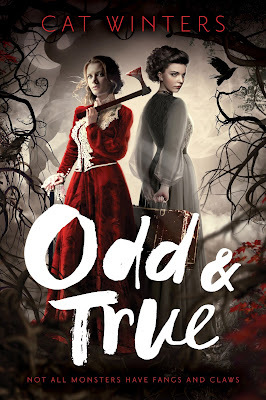 Two Chicks On Books: Blog Tour- ODD & TRUE by Cat Winters An Interview & Giveaway! 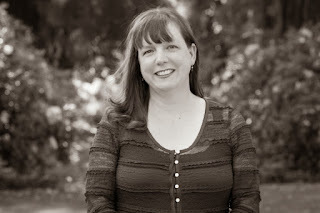 Blog Tour- ODD & TRUE by Cat Winters An Interview & Giveaway! Hey everyone! I am thrilled to be hosting a spot on the blog tour for ODD & TRUE by Cat Winters! I adore Cat and her books!!! I have an interview with Cat to share with you today! And make sure to enter the giveaway below! Haven't heard of ODD & TRUE? Check it out! Hey Cat!! First I want to say welcome back to Two Chicks on Books I’m glad you could stop by for a chat! ODD & TRUE was awesome and I can’t wait for everyone to read it! Thanks so much for hosting me, Jaime! For the readers: can you tell us a little bit about ODD & TRUE and the characters? ODD & TRUE is the story of two sisters, Odette and Trudchen Grey, known as Od and Tru. Older sister Od has always told younger sister Tru fairytales and legends to hide the pain of their family’s history and to bolster Tru’s spirits after a debilitating battle with polio. Now that Tru is older, she no longer believes in magic and wants to learn the truth about their past. Od reemerges after a mysterious two-year absence and claims they’re destined to embark on a hunt for monsters across America. Tru finds herself doing whatever it takes to uncover Od’s secrets, even if it means following her sister on her strange and fantastical quest to slay a mythical beast. The novel was inspired by a real-life monster hunt in 1909 America. I’m hard at work on a new YA novel, but I can’t yet say what it’s about. I’ll drop a little hint, though: this one involves the teenage years of a real-life historical figure. The bond that Od and Tru share was inspired by my relationship with my own sister. Their childhood was far more tragic than what my sister and I experienced, but some of our traits definitely made their way into these fictional girls. I loved writing from the alternating viewpoints of my two leads, who are near and dear to my heart, but Uncle Magnus also became a favorite. His character evolved into something far more complex than what I originally envisioned for him. My least favorite? Hmm, that’s a hard one to say, because I enjoyed writing them all. I suppose Aunt Viktoria was probably the most difficult to write because I wanted to make sure she wasn’t a carbon copy of Aunt Eva from In the Shadow of Blackbirds. What is your favorite passage/scene in ODD & TRUE? Od’s first POV chapter, when we see the day of Tru’s birth and the way Od views the world. This book involved nonstop research. I started with 1909 newspaper articles that detailed the sightings of a creature called the Leeds Devil (more popularly known today as the Jersey Devil), and I amassed a collection of books with topics ranging from American monster legends to domestic service in the early 1900s. Newspaper articles about numerous other topics from the era, as well as historical medical journal articles, also helped immensely. My sister happens to know a woman who’s descended from the Leeds family behind the Jersey Devil legend, so I got a chance to speak with her, and a school located in the heart of Jersey Devil country invited me to speak when I was in the middle of writing the novel, which proved to be extremely helpful. Severus Snape, the ultimate romantic, loyal Goth boy. Originally, I tried to break into publishing by writing adult fiction, but I could never manage to sell a book to a publisher, although I managed to sign with my agent. When I told her my ideas for In the Shadow of Blackbirds, she said it sounded like a YA novel and encouraged me to go in that direction. It happened to be my very first book to sell, so I’m thankful I followed her advice! I’m reading a few books I can’t name because they’re part of my research for the secret project, but when I have a moment to steal, I’m reading AUMA’S LONG RUN, an excellent new MG novel by debut author Eucabeth Odhiambo. Please put it on your radar if you haven’t already. I tend to hang out more on Twitter. I’m still loving Portugal. The Man’s “Feel It Still,” even though it’s played all the time. Thanks so much Cat for answering my questions! I can’t wait for everyone to read ODD & TRUE!